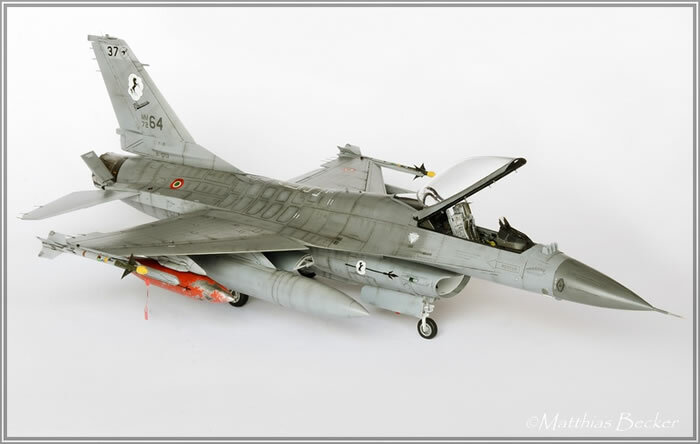 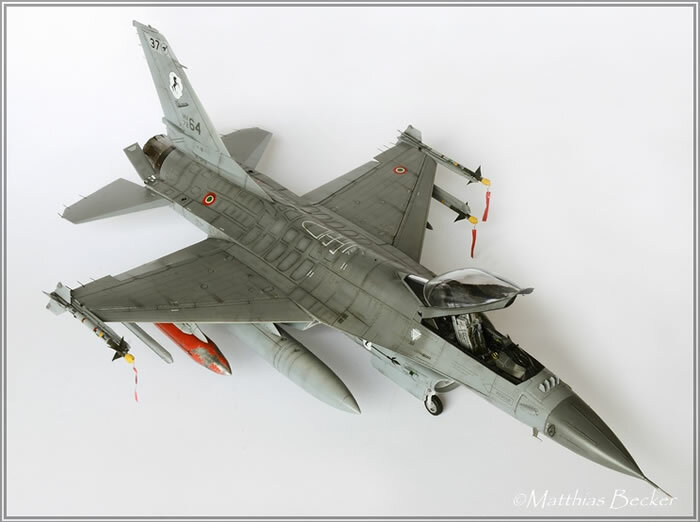 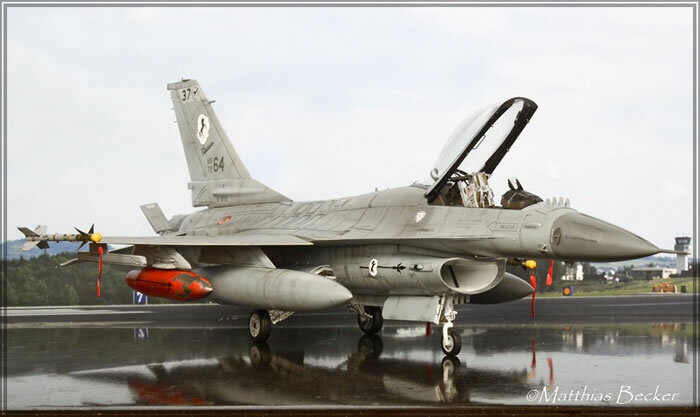 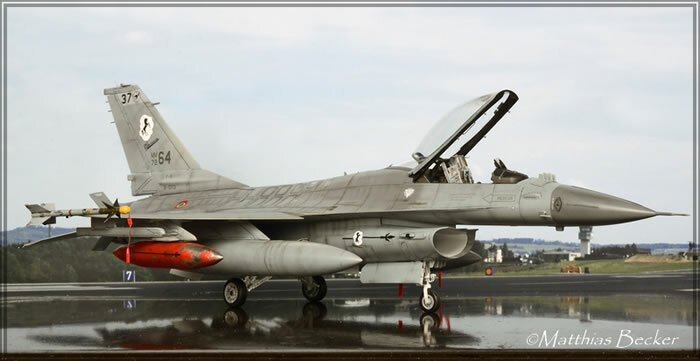 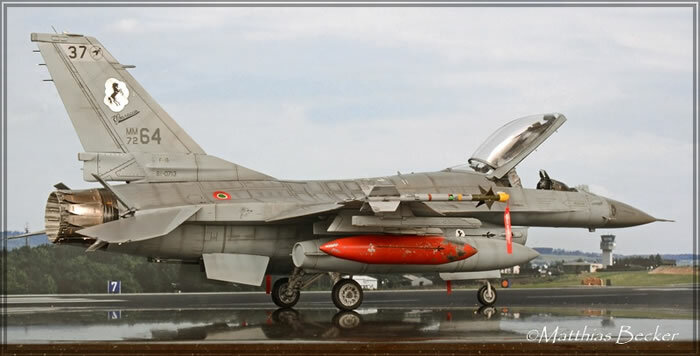 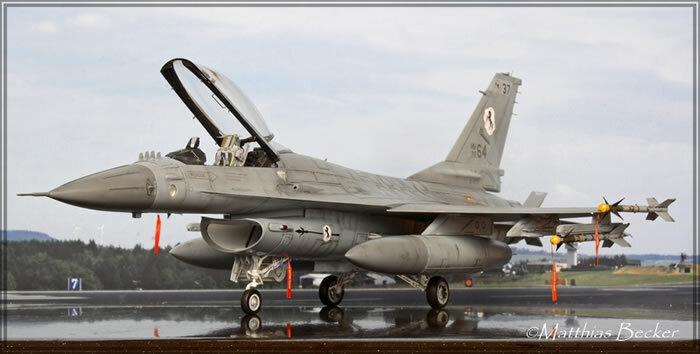 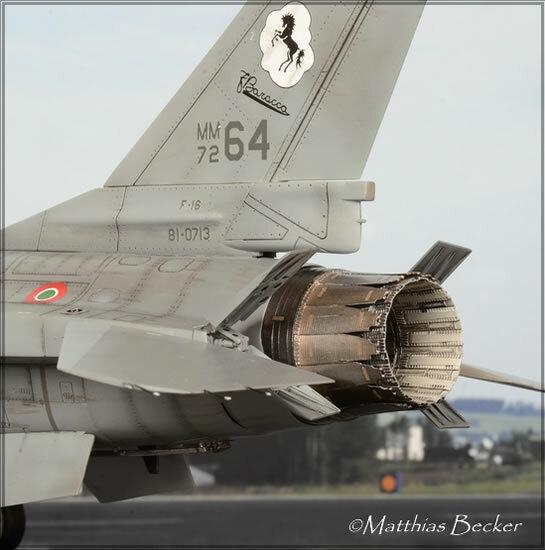 I have just finished the new 1/48 scale Eduard F-16 "NATO Falcons" in 1/48 scale. 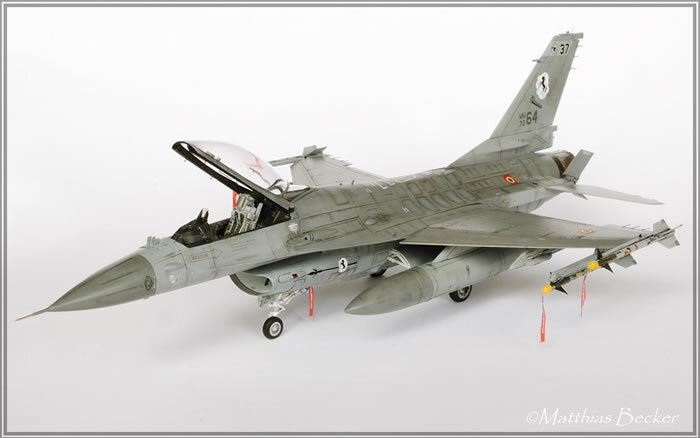 Eduard used the Kinetic F-16A kit as the basis for this package and added some nice detail parts including resin wheels, engine exhaust, Aces II ejection seat and a lot of etched parts for the cockpit and the exterior area. 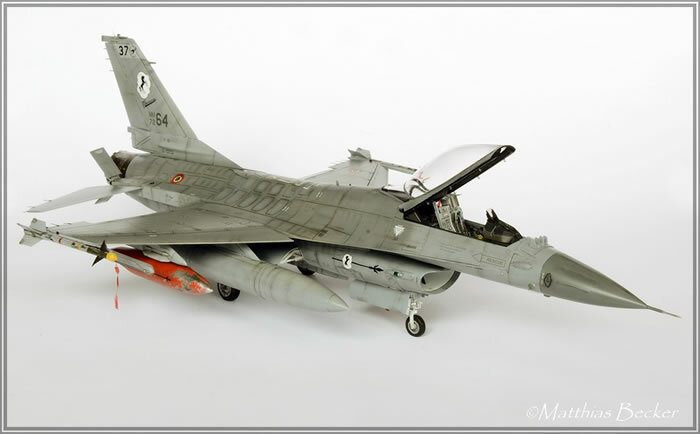 The well worn traveller pod is from an older Hasegawa F-16 model. 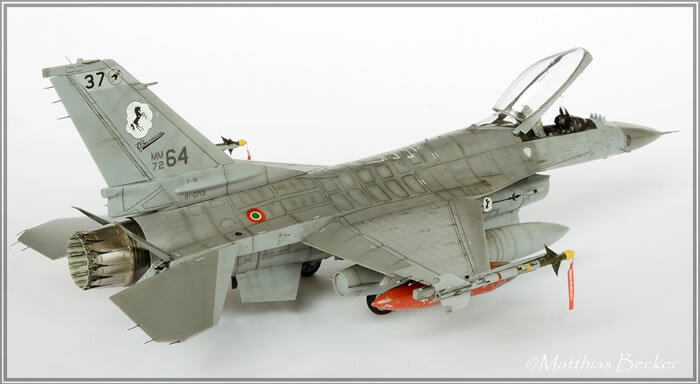 Further, I used for my kit the wheel bay by Kinetic, Eduard Brassin speed brakes, Eduard Brassin AIM-9L Sidewinders and for the Italian Air Force 37 Stormo markings a Zotz Decal sheet. 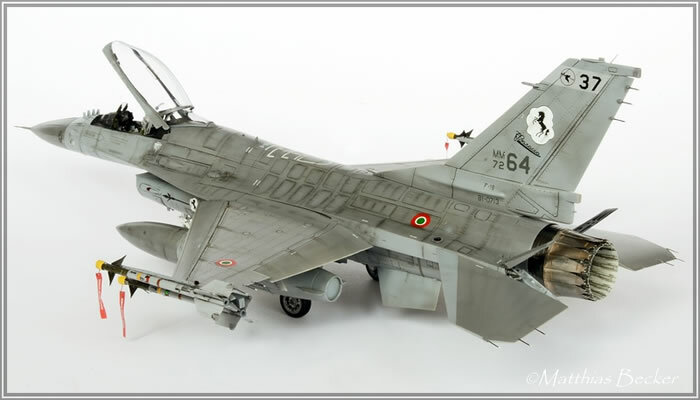 I painted the model with Gunze Colors FS36118 and FS36270. 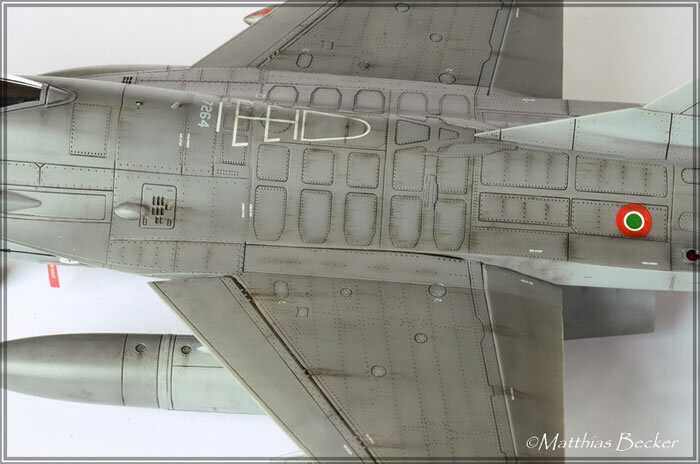 All stencils were taken from the great Eduard decal sheet.